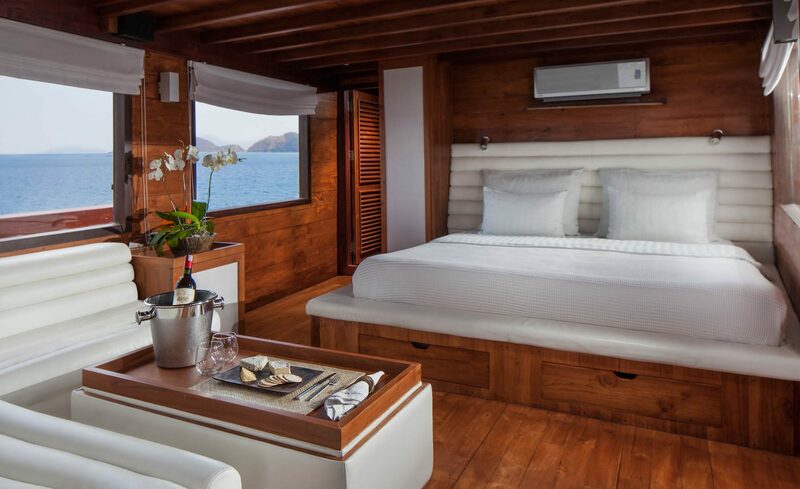 French-designed interiors and European styling add a touch of elegance to your luxury escape. 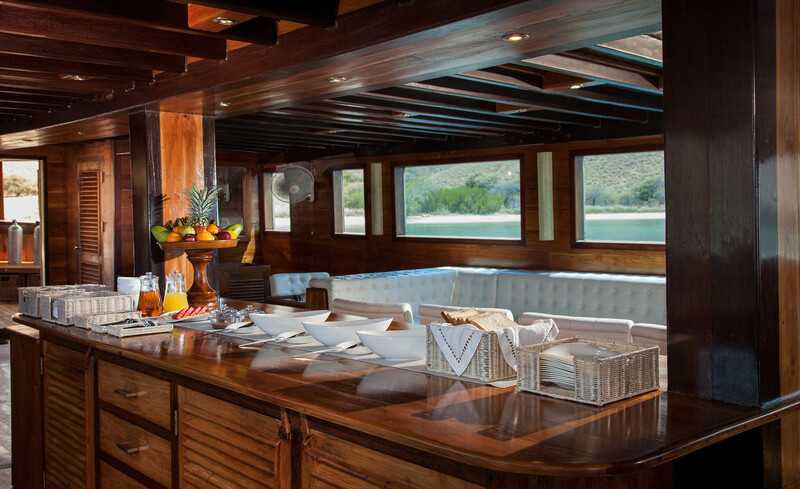 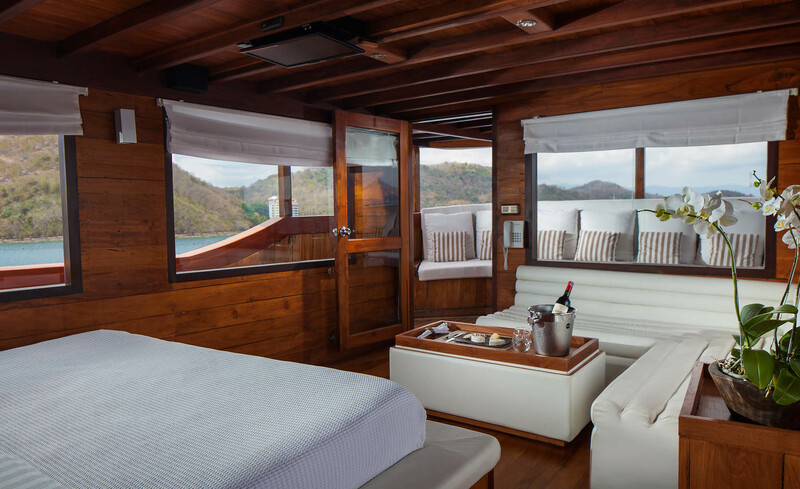 With a master suite and four luxury yacht suites, Samata is fully equipped to sleep up to 10 guests. 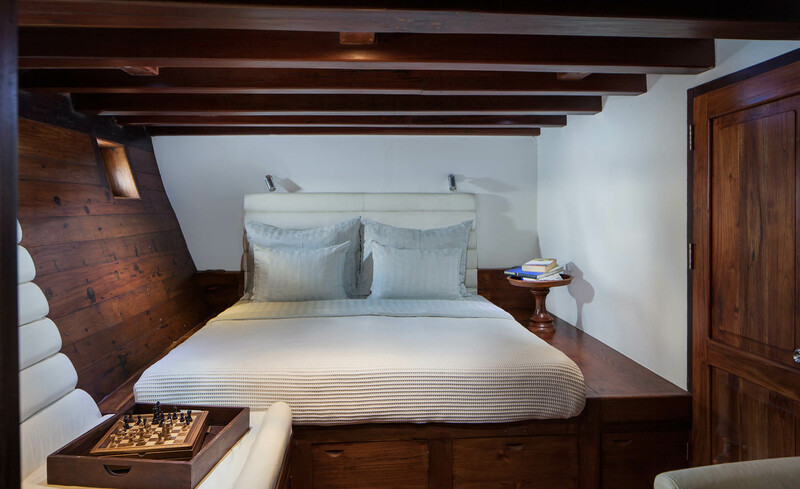 In addition each of the four deluxe suites have a sofa that can be made into beds for families with children or groups in need of more space for additional guests. 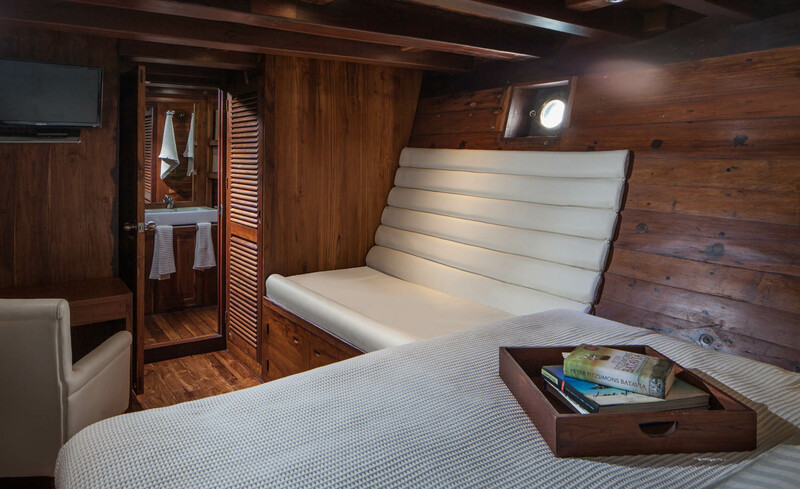 Each of the four deluxe suites features a fully equipped ensuite bathroom with hot and cold running water and full luxury showers, modern amenities, writing desk, leather lounge and queen bed. 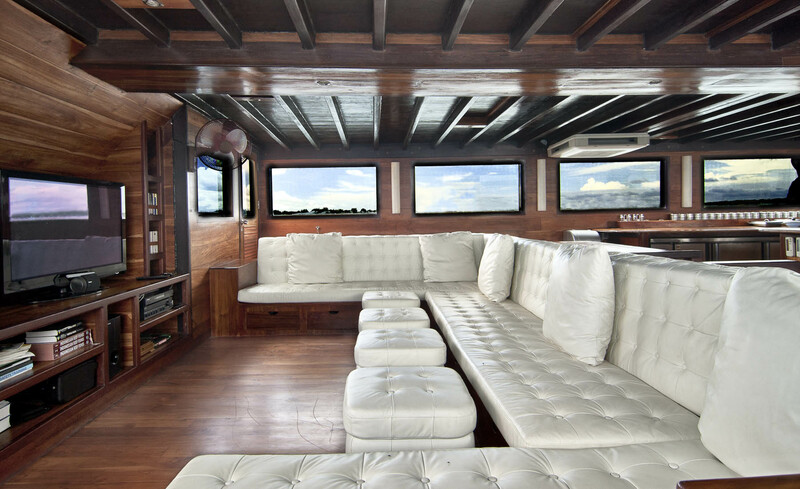 The interior cabin is equipped with an indoor dining area, leather lounges with a reading library, and a television with on-demand viewing. 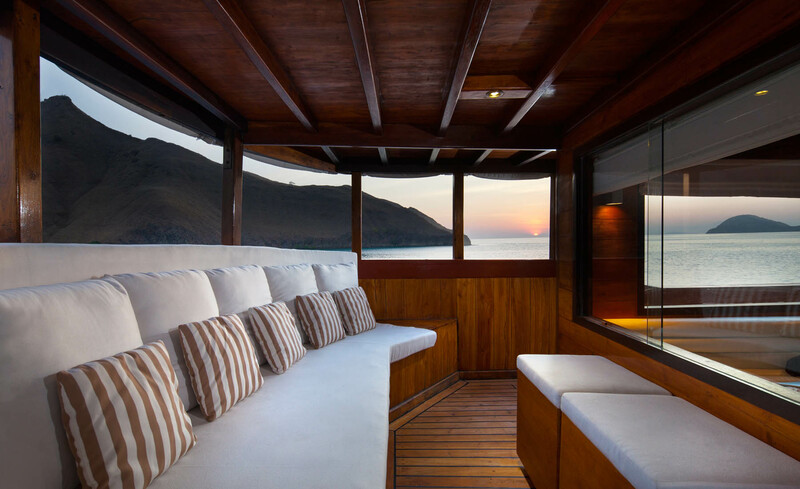 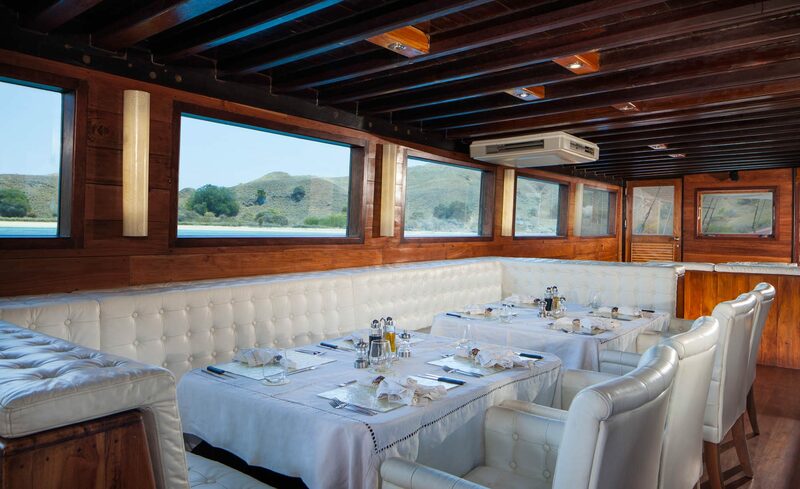 The master and upper decks feature dining tables which convert to outdoor daybeds, sun lounges, and side tables.